This is a story that is set in New York City, miles away from the tall buildings and high-rent neighborhoods of Manhattan and Brooklyn. It’s about people with serious mental illness and who decides where they live. Here on the outskirts of the city, the state has long housed poor, psychiatrically-disabled people in places infamous for bad care. They’re called adult homes. In the adult home, there were people who were not getting the proper care. Drugs and alcohol. It was bedbug-infested. There was prostitution. There is this sense of being divorced from the world. It’s a separate reality and a separate way of, of dealing with people. I don’t want to be in somebody else’s building, living a life that somebody else tells me to live. I want my life. My life. In 2014, a federal court order gave some of those residents the chance to move out, to live independently in apartments integrated into the community. It affected thousands of people. ProPublica reporter Joaquin Sapien spent more than a year looking into how the ruling was playing out and examining the raging debate behind it all – about giving people with severe mental illness the right to live independently and succeed on their own terms. But also, the right to fail. Up until the mid-1950s, early ’60s, you had these huge state hospitals that would hold sometimes 1,000 people or more. They were really warehouses. Lots of reports chronicled atrocities in state mental hospitals and there was outcry. So the goal of deinstitutionalization was to get these hospitals closed and to get people into the community. In New York state, the adult homes would be the solution. But the adult homes were profit-driven residential facilities that were called upon to become small psychiatric hospitals, but with none of the services, none of the expertise, none of the training that a psychiatric hospital has. In 2002, I wrote a three-part series examining the whole system of adult homes in the city and state. What I discovered was quite eye-opening: people dying and their corpse not being discovered for days; prostitution, drug abuse, physical abuse of residents. People would have all sorts of psychiatric breakdowns. They would get suicidal. There was a complete lack of any system that was taking care of these people’s needs. But the state regulators were not penalizing the homes. And I realized, well, they don’t want to close these places because they don’t know what to do with these people. You know, they are truly the most, some of the most voiceless people in society. And as a result, the state, the government just wants to push them aside. There was really no effort to integrate them into the community. So ultimately, it was a kind of a catastrophic failure of transferring the vision into practice. Following Cliff Levy’s investigation, advocates sued New York state in federal court, claiming it had segregated those with serious mental illness; their civil rights had been violated. The legal battle lasted 11 years. Plaintiff attorneys brought in dozens of adult-home residents, as well as experts. I was brought in to testify to this case because there was a huge question about whether people that had been institutionalized can live successfully in the community. And the judge heard loud and clear that people can live independently; that their psychiatric disability does not define their existence; and they should have the same choices as the rest of us. The 2014 court order applied to a class of about 4,000 adult-home residents, allowing them the choice to live independently and receive in-home care. The state would place them into an existing program called supported housing, overseen by the Office of Mental Health. Supported housing was a particular model for people who are quite high functioning. It’s meant for people who can manage their medications, do some cooking, and pretty much take care of themselves. A plaintiff in the lawsuit, Ilona Spiegel, was one of the first people to be given an apartment as part of the court order. She had lived in adult homes for 15 years before moving into supported housing. I didn’t know any different. Change is scary and this was a major change. I, I didn’t know what it was like anymore to go into a supermarket or cook. But as time and the neighborhood became more and more friendly and, and familial, it became easier and easier. I felt like a human being for the first time in, in so many years. Like many residents in the court class, Ilona can live independently without major problems. But there were concerns that the supported-housing system couldn’t handle people who needed more extensive care. In charge of the entire effort were the same government agencies in the state capital that had been sued over the adult homes. I explained that people from institutional settings moving into more independent housing will need a lot of support. I was very concerned that at the expense of and, and misery of the people leaving the adult home, that this kind of model would just lead to really poor outcomes. There had been stories already on the bad state psychiatric hospitals and bad adult homes. No one’s really explored what it looks like when people leave. By the fifth year of the program, 770 people had moved from adult homes of the about 4,000 who were eligible. They’d been given the right to choose where and how to live, and promised enough support. But ProPublica and FRONTLINE found more than two dozen cases where people were struggling or outright failing to adjust – cases that exposed the risks at the heart of the program, from identifying the right people to providing enough care. How long were you in your own apartment? Maybe three months. I’m not sure. How did it go when you moved back? I cry. I don’t want to struggle no more. Once an apartment is available, the move is immediate. There is no gradual transition. I mean basically they said that I was going to get a roommate, but I’m supposed to know what this person is like from a five-minute meeting. For some, the new freedom was too much. They wound up on the street. Or back in adult homes. People feel that when they leave, they get the apartment and they say, “I’m cured, I have an apartment.” God knows what they’re going to do. Some had become dangerous to themselves. For Abraham Clemente, who has schizophrenia, things went well at first. And then he started to refuse care. So Abraham, how’s, how long have you been here for? I’ve seen people move in, people move out. It looks like you might have an infection of some kind in your finger there. Oh, because I hit myself with a surgical hammer and I banged it and it swelled up and then it started bleeding pus and everything. A couple of months back. It’s been like that for a couple of months? Yeah. It takes, it’s going to take a long time to heal because I’m a diabetic. That’s dog s---. A dog walked in here and took a s--- there. Do you feel like you need somebody to help you? No. They interfere. I do it myself. I live in this building but I’m scared. He put a chicken in the oven and he totally forgot about the chicken. And it was a lot of smoke. I live on the third floor, you know? I’m lucky I got a fire escape. He need a lot of help. He really do. Under the supported-housing system, Abraham was allowed to live this way, even to refuse care. In order for somebody to have agency, dignity, integrity, they have to be able to make a choice, even if those choices are bad choices. It does seem like we’re at a point now where we’re letting people who hallucinate, hear voices, are very delusional, make their own decisions on where they should live. We are doing that. Absolutely. I tend to take the position of more freedom is better than less freedom. But there are cases where you have to wonder. Like, you know, what are we doing? Abraham Clemente was one of the most challenging cases because he was refusing care. But we found other stories that raised concerns about the program, even when care was being accepted. One case in particular kept coming up: a man who had been institutionalized most of his adult life. He was 52 when he got his chance to live independently for the first time. His name was Nestor Bunch. Caregivers said his experience reflected some of the biggest shortcomings of the court-ordered program. Joaquin was given an address for Nestor in Queens – an apartment above a fast-food restaurant. Nestor was no longer living there. Another participant in the supported-housing program had taken his place. Do you know of a guy, Nestor Bunch? He used to live here. Right? You don’t have any idea when he moved out do you? There was another address where Nestor once lived. His old roommate was still there. Living with him, I found out the guy needed help. He didn’t last here that long. Not even a month here. I don’t know where they put him at right now. He might be in Jamaica psychiatric or in jail psychiatric. Who knows where’s this guy at? I’m working on a story about supported housing. His name was Nestor Bunch. I know he lived here because he’s received mail here. Joaquin found a health-care worker who’d kept case files that might help locate Nestor. But the documents had been thrown out just before he arrived and had to be retrieved from a dumpster. Oh, man, this is like Christmas. Let’s see. We need to find the top part of this sheet because, unfortunately, it ends at Buchanan and we don’t have the top part which would have Nestor Bunch. Joaquin had been looking for Nestor for about a month when he found a source who said he knew where he was. It was a large building in Brooklyn, used to temporarily house hundreds of people with mental illness, supervised around the clock. It was the opposite of independent living. Oh, no, my pleasure. Thanks for the attention. …you have someone coming by. As I was explaining to you out in front that I’m a journalist. You know what’s a good move besides being a corrections officer? A spy and a detective and a detective and a spy. Say de-fense law-yer. That’s four syllables. Right? That takes care of that, that takes care of that, that takes care of that, that takes care of that. What did they, what did they diagnose you with? You used to take a lot of drugs? …and into their own apartments, which, I understand, was your experience. Right? Uh, somewhat. I think I was living in that Queens Adult Center, that place there. But it didn’t work out. Do you know how long you were at the Queens Adult Care Center? He could not piece together time. You know, he thought that he was at the Queens Adult Care Center for weeks. He was actually there for six years. Did you feel like you were ready to be on your own? Yeah. You know what happened is they just brought me there and said, “Ta-da! This is your apartment.” Everything was set. They were making sure I eat. They were making sure I had hot water but they couldn’t do it. So that’s where they moved me to another place. Yeah. Was it above a chicken takeout place? Golden Krust? Exactly. And my roommate, he was naked and funky and listening to music and stuff. That first roommate, what was his name? I'm not sure. The dear thing passed away on me. And I couldn’t make heads or tails of it. It was difficult to know what had happened to Nestor in supported housing. He experiences hallucinations, hears voices, and has long gaps in his memory. So we had to go out and basically find witnesses to his life who could testify in a sense and tell us what exactly had happened to him. We were in Nestor’s bedroom one afternoon and we found a Christmas card and the return address was for Nora Weinerth. Nora has known Nestor since his late 20s. Look at the beautiful flowers. I inherited Nestor. He is the son of a dear friend of mine. I loved him from the time I first met him. I just loved him. Oh, a lot of them. [sings] Like a bridge over troubled waters. [sings] I will lay me down. Nora said Nestor had lived in a big psychiatric hospital before he moved into an adult home, then supported housing. He was his mother’s only child and she reared him very, very devotedly and very lovingly. He was a healthy child until about 14 and 15. Then he began to show some signs: talking to himself, he was hearing voices. That’s a very frightening experience because a person you know and love and have so much hope for has lost everything, the future. And Elda became a very active advocate, which was her way of managing the deep, deep agony of losing her only child to mental illness. This is Elda. She claimed to be 5’ 2”. Actually, she was 4’ 6”. She got a lot of joy from her activism. Wow! This fact that she had been a[n] advocate of, you know, some renown known by President Clinton and others came to our attention through Nestor. I didn’t believe it. But here’s the evidence. Couldn’t have been more clear that it really did happen. That was an important thing to say because, to show that people who have mental illness through no fault of their own, like Nestor, are not discards. They’re loved. This is really interesting because it has to do with supported housing. She’s expressing support for the inclusion of $423 million in supportive housing funds in 1993, which means that 23 years later her son was living in a supported-housing apartment, which is something that she had advocated for. But he doesn’t have the success that she would have hoped for. How do you think she would feel about what happened with her son? I don’t have the words to describe how upset she would be. Nestor was moved into his first apartment in July 2015. It was a small walk-up studio out by JFK Airport. He was alone and unsupervised for the first time in his life. Nestor called me up and told me he was going to be moved to an apartment in a private house. I was very worried about things that can go wrong. Is someone going to help him straighten things out? He needs a lot of help. He does. Nestor was being cared for by two nonprofit agencies. One called Federation of Organizations coordinated medical care. They declined to be interviewed. The other, ICL, was in charge of housing and provided weekly visits. ICL’s CEO, David Woodlock, agreed to review Nestor’s records. Nestor very much wanted to live on his own and that was really clear. Whether or not he appreciated what that was going to be like for him or not, you know, I think, I think we all went in that trying to do our best, including Nestor. Nestor gave us permission to access thousands of pages of his medical records from at least eight separate care providers. Among them was the assessment used to determine if a resident is too dangerous to themselves or others to live independently. His assessment noted he wanted to stop his medication. It also said that he was hearing voices and believed that he could heal others telepathically. Based on the court settlement, none of this was disqualifying. My job, when I first met Nestor, was helping him pack his medication every week because the idea was that he needed to be comfortable with doing it himself, independent. Shaquan Young was one of Nestor’s care coordinators and one of the only people who directly worked with Nestor who would go on camera. So what was your gut sense of how he was going to do on his own? And when did that start to change? When he started going to the hospital on his own because of his own suicidal ideations. In Nestor’s medical records, we found that his first experience with independent living lasted five months. Then he was admitted to a psychiatric ward. After months of reporting, his story was coming into focus. Nestor, you’d asked how we got interested in your story. Right? Yeah. That’s probably a good place to start, actually. I went to the, the Queens Adult Care Center. You remember that place – where you lived in Elmhurst? Queens Adult… Yeah, yeah. Who told you about me? Well, a bunch of people actually. …beautiful, happy homes and stuff. Yeah. So do you remember when you first moved out of the adult home? Yeah. What happened is I went to an apartment for me. I had no heat, no hot water. Did it feel like you were left alone? Yeah. I had, I had no company, actually. So that’s why I decompensated. I have some records that show that you wanted to hurt yourself when you were in that first apartment. You went to Elmhurst Hospital to get help. Why do you think you would have said things like, “Oh, I’m gonna, I’m gonna poke my eyes” or “I’m gonna cut my wrists”? Do you think you felt overwhelmed? Look at my eyes for a second. Nestor, that was pretty wild. So, I look at that and I said if I tried poke my eyes out these things say, “Nooooo.” It seems to say, “Don’t poke your eyes out. Nooooo.” And yeah, that’s, that’s one answer indubitably, if you know what I mean. Nestor’s records show a lack of coordinated care. Multiple agencies hadn’t been able to get his subsidy checks to him. He didn’t have money to spend on food and couldn’t pay his rent. The apartment was a mess. Dirt grime in the bathroom. The smell of urine. He felt hopeless. Ultimately, the agencies decided that Nestor needed somebody else – a roommate. That roommate would be Bernard Walker. Bernard and I, we were four years apart. Growing up, he was just like any other brother. We always had our good times and our bad times. He was always a peaceful, quiet person. He was never, you know, going crazy and yelling. But sometimes he would just be rocking like that so then I know that, OK, Bernard’s in his little zone at that point, you know? The housing program and ICL felt like Nestor would be better suited to live with a roommate. The idea was that, OK, if you have a roommate that’s higher functioning, you would probably follow that person’s lead, your roommate’s lead. Nestor Bunch definitely seemed to be in, in more of a need than, than Bernard. My biggest concern about Bernard having his own place was: Did they properly train him to be sufficient in that environment? How about the idea of him helping somebody else with all that stuff? I would say no. I would say no. It’s scary just thinking about it. I’m wrenching my hands like… You know, he has to care for someone else in addition to himself? No. No. Bernard was living in the apartment above the fast-food restaurant in Queens. He had been alone for two months and feeling isolated before Nestor arrived. But their pairing was short-lived – only 16 days. He would come out, knock on the door in underwears, try to sell you the grocery, ask you for change all day long. And he was becoming worse. And like two days before, he kept banging harder and harder, doing it more and more. Then that day he came early in the morning and he was knocking on the door in underwears. And I told him, “Can you please stop coming to my door? Like I got kids. I got my daughters here.” It was in January and it was the big storm and it was real cold. We decided we going to go get some snacks. And when we came out, he was in the bottom stairs, dead, naked, which means he was wandering around naked. Nestor was there living with him and I knocked. “Can you please go check?” And he went down and he said, “Oh, it’s Bernard. He’s dead.” And I called the cops. I think it would be pretty painful. So we’ll, we’ll approach it delicately. Bernard’s brother Michael is a former New York City police officer. He helped get the medical examiner’s report on Bernard’s death. Until now, he hadn’t looked at it. Oh, man. Look at all that snow outside. Sure you want to see all this? My brother was found totally naked. Was he taking his medication? Was he not taking his medication? What was going on prior to that? Bernard’s medical records show that within a month of moving in, he was struggling. We know from neighbors that he’s outside practicing karate in the cold in his underwear in the days before his death. He’s on a battery of medication that includes antipsychotics and other drugs for his physical health. And he’s inconsistent about taking that medication. I mean he’s clearly not doing well in the days before he died. This progress note is from January 22nd. His ICL caseworker shows up to check out his apartment, sees that he’s not there and leaves. Later that day, a caseworker from the other nonprofit saw him for 15 minutes to check that he had his medicine. Two days later Bernard was dead. So one of the things that Nestor mentions is that Bernard was walking around naked a lot in the days prior to his death. Would that be cause for concern or further investigation for ICL? Sure. To the extent that those are symptoms of, of his not managing stress well or those kinds of things or some potential decompensation, sure, that would, that would tend to trigger either additional services, a different kind of check, touching base with the psychiatrist or the therapist, depending on how serious it was judged to be. So this is a guy who’s got schizoaffective disorder, had just moved into the community, paired with somebody who arguably is less functional than he is. And he’s found naked and dead on a freezing cold day. What does ICL do? Do our best to understand what happened, which I don’t think… And, and again I have not reviewed his records so I can’t speak to any of the specifics of, of his care. What I do understand is that, as you mentioned, that he was… An attempt to, to visit him was two days prior to that. And as, as, as I understand, no particular reason for alarm at that point. Right. People live on their own. I mean that’s, you know, I’m sure people would have come back to visit him a few days later, which is sort of the, the cycle of things. I mean these are not 24-hour supervised settings nor were they intended to be. But in cases like Bernard’s, it was that lack of supervision that had critics worried in the first place. And all along, a federal court monitor had been warning of a systemic lack of coordination among the agencies implementing the program. It’s a bureaucracy. So there’s no one single point of responsibility that you could point to. Even, even in the monitor’s report, there’s State Office of Mental Health, there’s the Department of Health. It’s like which commissioner is going to actually… You know, where does the buck stop? Where’s that desk that says ‘the buck stops here’ on the adult-home case? That’s what I’d like to know. No one from the New York Office of Mental Health would go on camera. In an email they said the vast majority of former adult-home residents “have thrived in their new homes and the move has given them hope and opportunity.” They acknowledged that “a small percentage” did not succeed in supported housing. 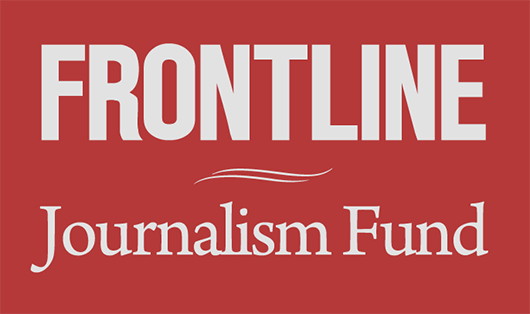 FRONTLINE and ProPublica asked about those cases for months. Finally, they said, “39 residents returned to adult homes and 33 had died.” They wouldn’t provide any other details. Hey, how you doing Detective Gallagher? This is retired officer PO Walker. How you doing? Good, good. I have you on speakerphone. I’m in just a room with one of my friends. He’s a reporter. We’re trying to get information on what happened with my brother. I mean really wasn’t much to it. He passed away due to hypertensive cardiovascular disease. Looks like he had a heart attack. Yeah, I went to the ME’s office and I got their full, extensive report on that. What was your instinct to find him in that kind of condition? I mean, given that he was naked? Well, at first, at first it was odd and then after speaking to Nestor, Nestor said that he was running around the house naked all the time. You know, we had asked Nestor if, if he knew if Benny was taking his medicine, but he couldn’t say for sure. Given that he was mentally ill and the condition that he was found, like is there any type of procedure or requirement for a follow-up to figure out, you know, if he was taking care of his medication or if he was being properly taken care of? It wasn’t followed up on per se. Michael Walker kept wondering what more could have been done to prevent his brother’s death. I was caring for Nestor’s mother at the time and I got a call from the police saying, “Don’t worry. Nestor is alive but his roommate is dead.” Nestor said he was fine. But it’s a very shocking, traumatizing experience. I wanted to know his condition as a result of this experience. And then only a few days later his mom died. Were you two very close? Who? Me and mom? Yeah. Did you say goodbye to her? No, if I said goodbye, I would have been destroyed. My mom was just like kind of unconscious, you know? And she just fell asleep, I guess, you know? And after that, well, Nora came up to me and said, “Regito, your mom died.” And I said, “Oh, my God, what happened?” And she said, “She died of cancer and pneumonia.” It was, it was the most powerful blow I ever felt in my life, you know? It was awful, just tragic. His mom passed away. His roommate had passed away. And even though we didn’t see any emotion, we didn’t see him processing his grief. We didn’t see him grieving. But you knew. Like it was, it was, it was showing through his actions. You know, it was showing through that – not eating, not taking his medication. I asked Nestor, “Is everything all right?” His speech was very fast but I couldn’t comprehend. His, his words were very slurred. That was a clear indicator that he wasn’t doing well. So I called 911. EMS came. They very delicately, very gingerly, they brought Nestor downstairs and they brought him to Long Island Jewish Hospital. Nestor was put in a psychiatric ward for several weeks, then was moved again. According to this document, the “care coordinator was not even told that they were considering moving him.” She’s the person that’s responsible for making sure that Nestor has the services in place to live safely in the community. This document shows she doesn’t even know where he is. He was in another Queens neighborhood in a small brick row house. His new roommate had been diagnosed with paranoid schizophrenia and had a history of severe alcohol abuse. Almost four months after he moved in, Nestor was found badly injured with broken ribs and kidney damage. His medical records say he’d likely been beaten. So Nestor, we’re just trying to piece together what may have happened to you after you were in the hospital after your mother died. Do you remember when you moved in with the, the guy that you told me about? And you went to the hospital while you were living with him. I just wound up in the hospital and I say, “Gee, I’m here in Wonderland,” you know? Somebody called to say that he was in the hospital. The doctor hypothesized that he had been beaten up by someone. His ribs were broken. The doctor said it looked like he had been on the ground and was kicked badly enough for his kidneys to have stopped functioning. To keep track of him, yes. …able to answer any of those questions for you? Nobody said anything. Nobody really seemed interested in that. I don’t know, but it was a very thorough, systematic beating, it seemed. So I just want to make sure that I understand. Nestor’s an extremely vulnerable person. Doctors think there may have been an assault and there’s no effort to find out if there was. Again, I would just say Nestor, as I understand it, never reported to us anyway that he had been assaulted. There were any number of reasons for the symptoms that he was experiencing. If he had collapsed on the street and fallen against a step – I’m, I’m speculating completely now – could have potentially hurt his ribs. But in the absence of some reason to think it was necessarily an assault, everything else is speculation. Well, given what we know about Nestor, right, I mean he’s, he was unconscious. He’s schizophrenic. Just because he said he couldn’t remember what happened doesn’t necessarily mean nothing happened. It doesn’t mean it didn’t happen. It doesn’t mean it did either. I mean something certainly happened, you know. Nestor spent five days in the ICU and more than three months in the hospital and rehab. Then the agencies overseeing his care returned him to independent living. I felt like Nestor definitely required some intensive assistance long before he was assaulted. I used to mention this a lot with Nestor’s therapist at New York Psychotherapy. Nestor’s therapist was very, very, very vocal about Nestor. Let me ask you this: What does it take to move somebody into a higher level of care? It requires the entire team to agree. So the Department of Health, the Office of Mental Health, and the clinical team members have to agree that a person has to go back to a higher level of care before they’ll do it. There’s some risk involved sometimes. But there’s risk involved for anybody if you’re going to move forward in your life. Hey, Abraham. Are you home? It was one of the hottest days of the summer. Abraham Clemente wasn’t answering his door. A caseworker who happened to be in the building called 911. How you doing, Mr. Clemente? No, I’m fine. I’m fine. I still want EMS to come check you out, OK? We’re just a little concerned for you. You know, I’m here all alone in an abandoned place. I want to live like a human being. Be human. You know, like being in a jungle. Hey, Abraham. Do you feel dizzy or short of breath or anything like that? Any pain anywhere? I remember. I’ve seen you before. I remember you. You know what month it is? Your sugar’s a little high. It’s 209. Squeeze in on your hand. We going to the hospital? Yeah, we’re going to have to go to the hospital to get checked out, OK? A lot of people feel like who are we to say: You are not well enough, you shouldn’t be living on your own. Who are we to infringe on somebody’s freedom? Other people say: Well, that’s just a cop-out. Are you giving me my right to fail? Or are you letting me cling to my right to be free to such an extent that it’s going to be the death of me? It took another two months and one psychiatric hospital admission before Abraham’s caregivers determined he could not live on his own. He ended up back at an adult home. I don’t want to go back on my own. I can’t live like that again. Nobody to talk to. Nobody to check on me. I felt lonely, worthless, unwanted, unloved. I don’t want to live like that again. I’m going to fail. I don’t want to fail. When Joaquin last saw Michael Walker, he’d promised to keep looking into what led to the death of his brother Bernard during the winter storm in 2016. It’s been a, it’s been a long haul. There’s a few things in here that I wanted to show you. One of the things we did learn is that there was an investigation into your brother’s death. …what the results of that investigation are. Yeah. I can’t understand why the agency is not freely giving me information. As a family member, to me, as a family member. That would, that would just clear the table of anything. You know, and we have the ME’s report. We have the police report. It’s there. We can read it. We will break it down, no problem. But now the agency itself conducted their investigation. How far did they go? Or was it just a cursory investigation? Since the New York court case, at least nine other states are pursuing similar independent-living programs for people with severe mental illness, despite the risks. In response to reporting by ProPublica and FRONTLINE, the federal judge overseeing the New York court settlement has ordered an investigation into how caregivers report bad outcomes. Only two weeks after being sent home from the hospital in January 2017, Nestor Bunch was found by police freezing on a sidewalk, alone. He spent another four months in a psychiatric hospital. But after all he had been through, Nestor still hoped to live independently. [in video] Your own apartment. Oh, this looks like it. It’s so nice to see you. How you doing? Three years after Nestor left the adult home, he had finally been placed in a special apartment, with a higher level of care, and with a new roommate, Jeanne. This is my room. I have an air conditioner. Air conditioner in the back, right? My TV, my cassette, and my record player. Got a nice soft bed. Come on, let’s check out the rest of the apartment. Nestor is getting the supports now that he needs. He’s flourishing. When I call him, he sounds wonderful. “Oh, hi, Nora. Hi, Nora.” He is engaged and he expresses joy. The one thing I do appreciate about me being alone is I do make my own decisions, you know? And there’s something called the Declaration of Independence. You know what that is? Well, it’s an excellent example of what a person can be by themself. In fact, Nestor had technically failed out of supported housing. He now has an aide that spends four hours a day with him seven days a week. So when was the last time you heard voices, Nestor? Um, the last time I heard voices was, oh, about, um, about two minutes ago. Oh, yeah? What’d they say? Like, a frog lost his arm. Wow! They haven’t said anything mean or tell you bad things? No, just funny things that they don’t mean to say. I think the medications help me not see things I shouldn’t, you know? You haven’t seen anything then? No, not really. But I want medication for my hearing, you know? Yet all this extra care is not meant to be permanent. If Nestor continues to do well, it could trigger removal of the support, and a return to the program he’d struggled in. The system can work. We see it with Nestor now. But I’ve seen the system fail him very badly. And if the system withdraws the very elements that allow Nestor to progress, then what happens? I’m very concerned about that. His survival is at stake. We go food shopping, do the laundry. We do some cleaning and some more cleaning. I watch TV. I listen to music, music TV. I sleep, wake up. I take showers. I get dressed. I hang out sometimes in the living room.